”Here’s a grimly disturbing 45 made by Dexter Gardner, a deeply troubled teenaged (and self-identified) LSD addict from Kearns, Utah, a suburb of Salt Lake City. 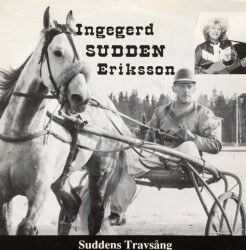 As the record label indicates, the audio was “reproduced from a tape recorded message just before death by suicide.” The original recording concludes with the sound of the gunshot that ended Gardner’s life, but the version that appears on this record is a bit more genteel; the sound of the gunshot was removed. 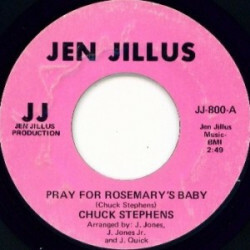 The 45, released on Atlanta’s Broadcasting For Jesus record label, is entirely spoken word. Side One features the first part of Gardner’s rambling farewell. Over on Side Two, we hear the conclusion of his message, followed by a short piece by NBC news reporter Bill Ryan. Ryan’s report includes the information that Gardner’s parents chose to have the recording played at their son’s funeral in the hopes that some of his friends would be persuaded not to board the drug train”.